1. 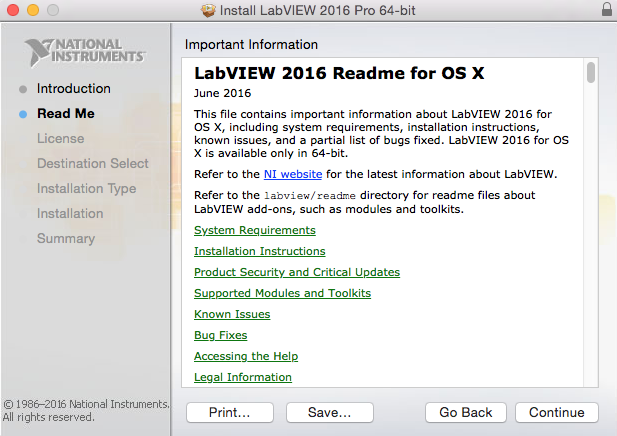 Visit the LabVIEW Tigerware page. 3. 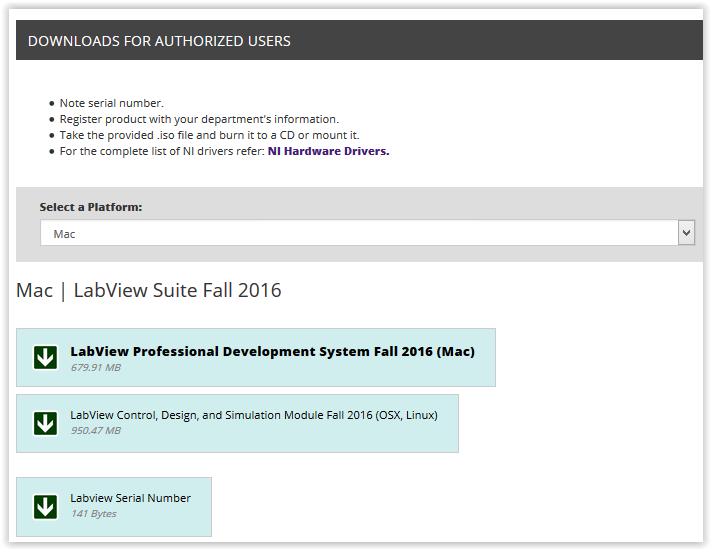 Log in the myLSU portal using your myLSU creditionals. 4. 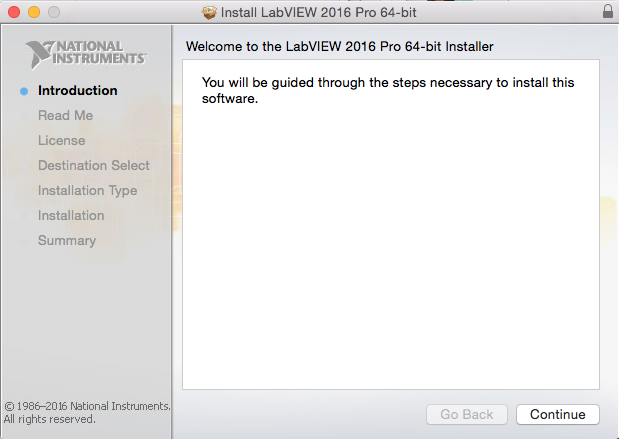 Select Mac from the Select a Platform options and select the latest version of LabVIEW from the Select a Version options. 7. 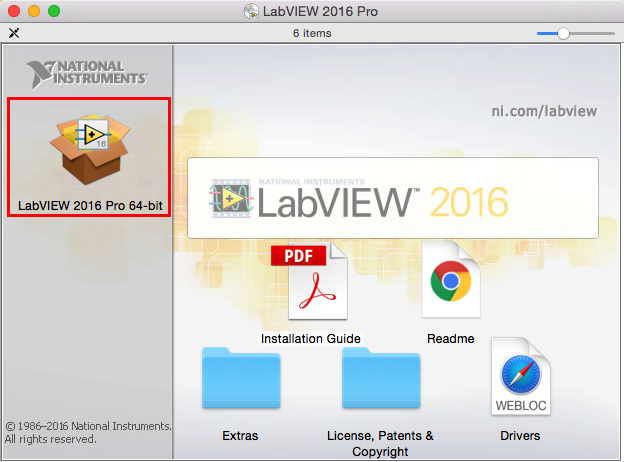 Double-click the LabVIEW icon to the LabVIEW window. 8. In the introduction page, click Continue. 9. In the Read Me page, click Continue. 10. 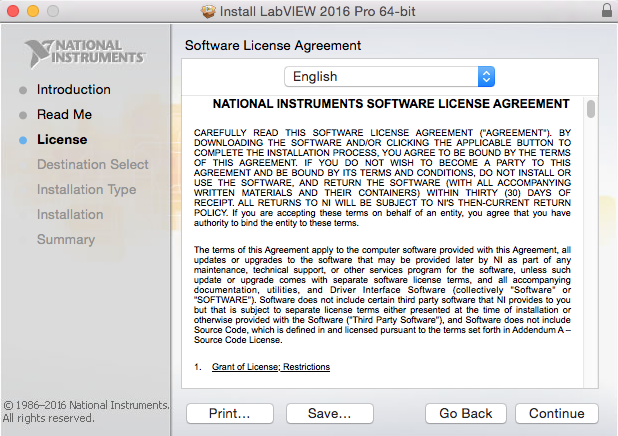 In the License page, click Continue. 11. 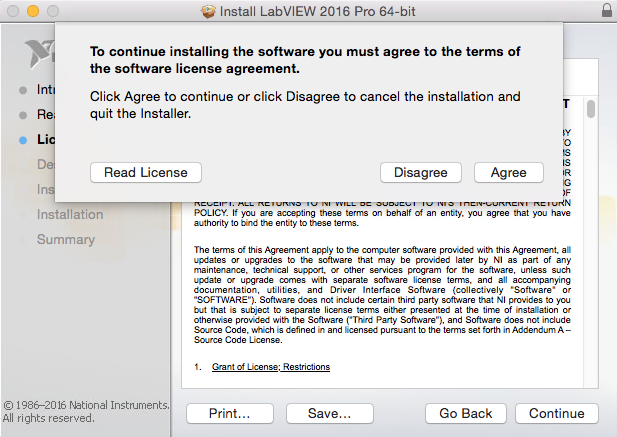 In the Read License page, click Agree. 12. 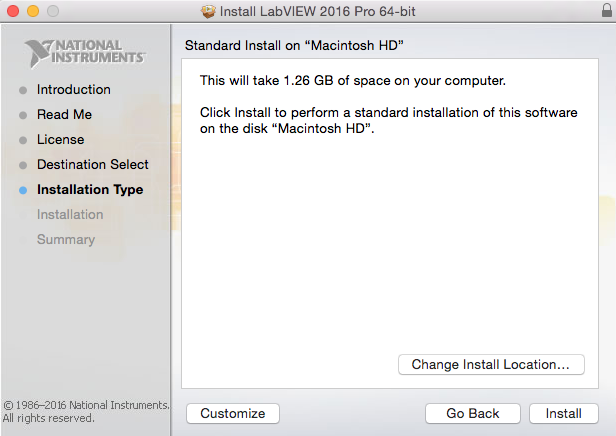 In the Installation page, click Continue. 13. 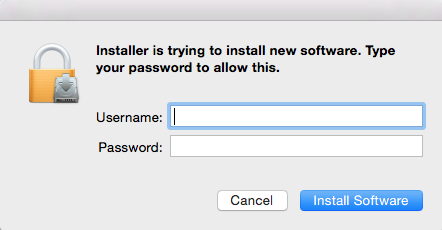 In the login window, login with your myLSU information, and click Install Software.